We don’t always know a composer’s motivation. Sometimes inspiration is serendipitous. Maybe the original manuscript is lost. Some of today’s modern composers simply don’t want us to know. Sometimes the composer directly tells us when writing the dedication for the work. Today in music, websites like song meaning.com allow us to ponder over the meanings of lyrics and if the artist was pulling from personal experience. Our preoccupation with celebrity, especially artists, extends to their motivations behind their art. 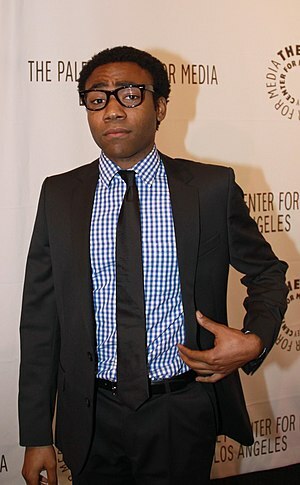 A little while ago, the internets wondered – albeit in rather tabloid fashion – the motivations of Dinald Glover aka Childish Gambino (actor, comedian) when he instgrammed a series of lyrics about his personal and professional life.Some fans thought it was interesting, others thought it was a cry for help, or something. Because celebrity drama. Childish Gambino isn’t the only artist who has used a public space as on emotional outlet and encouraged fans to participate. Lady Gaga has an army of “Little Monsters” that she has encouraged to participate in her expressionism. An example of this was her taking control of her own eating disorder in response to media criticism of her body. It may be your opinion if you see an empowered person or someone who allowed herself to be affected by gossip magazines whose only job is to enforce an unrealistic body image. The impact of a display like that cannot be denied by someone of influence. What about Marina Ambramovic’s art? Known for her dangerous, potentially life threatening displays in the name of art, she and Ulay completed a display where they sat locked mouth to mouth virtually until they passed out. Her solo pieces include an opus of works titled Rhythm, one of which where she jabs a knife in the spaces between her spread fingers until she misses, prompting her change knives until she has gone through the whole set. Marina explains her obsession with testing and pushing the limits of human desires, unconscious and conscious, below. Would we respond the same today? Would we be as concerned with Ambramovic and call her relationship with Ulay codependent? Unhealthy? Would we still call their parting on the wall of china beautiful or say “finally! I was worried about her for a second there!” Her art, drawn from personal experience and sometimes dependent of public participation, is not any different. It places both men and women in an inescapable box, and gives us all less avenues to express ourselves, which was probably Glover’s only original goal with his post. The public’s fascination with tabloids and the lives of celebrities has always escaped me. I don’t care about the personal lives and motivations of Katy Perry and Taylor Swift. I did, however, spend many hours in the library and online researching my favorite composers and their personal lives. Shostakovich and his relationship with Stalinist Russia, Mendelssohn and his conversion to Christianity from Judaism for legitimacy so he could have a career, and Liszt’s lady problems were all nuggets of information to me that made studying music and playing these composers’ works more interesting. It made the music all the more real to me, and allowed me to feel closer to the piece. Maybe we should just take the art for what it is, unless the artist explicitly tells us otherwise. This entry was posted in Performance and tagged Childish Gambino, DonaldGlover, Hip Hop, Instagram, Music. Bookmark the permalink.